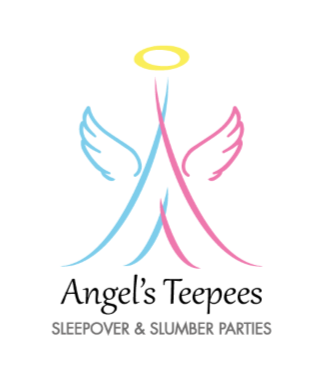 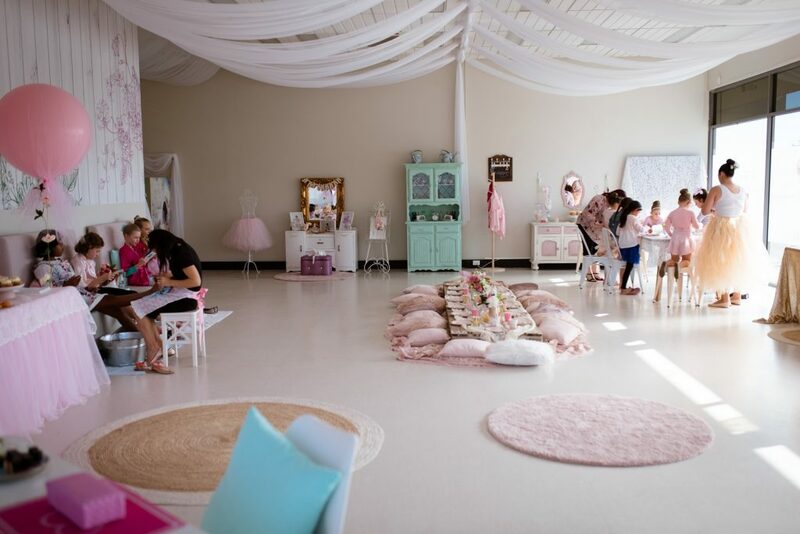 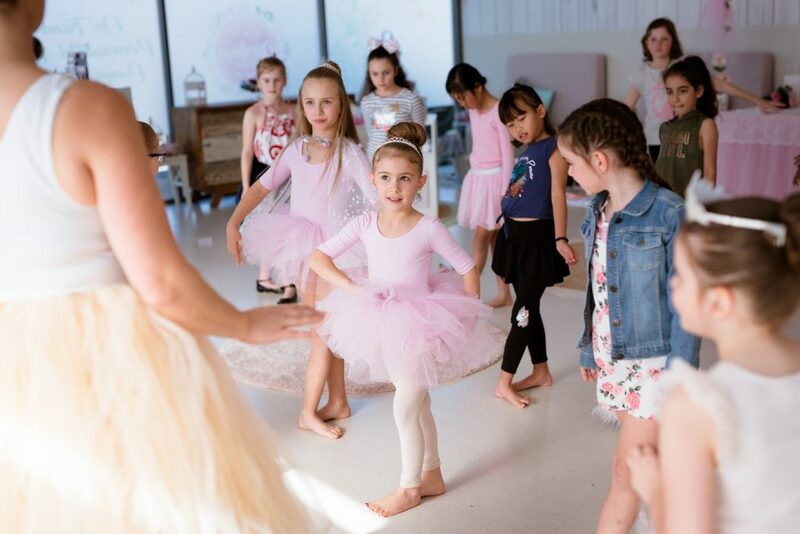 So many little girls have dreams of being a ballerina and their birthday party is a chance to bring this to life for a day! 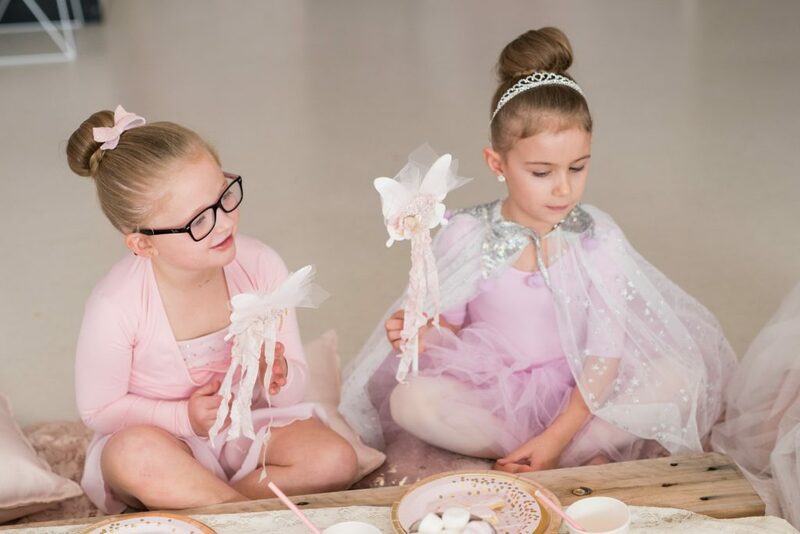 Today we’re delighted to share a gorgeous vintage ballerina party for the daughter of Jackie, one half of Arabella’s Vintage Wardrobe! 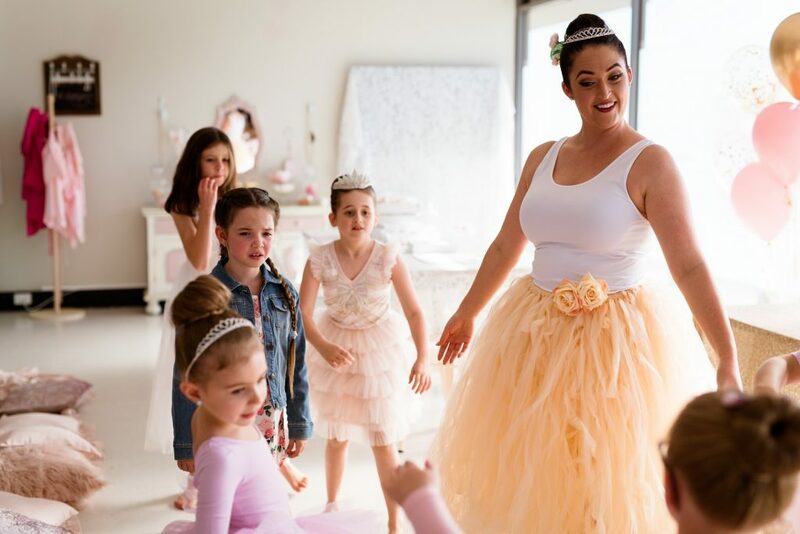 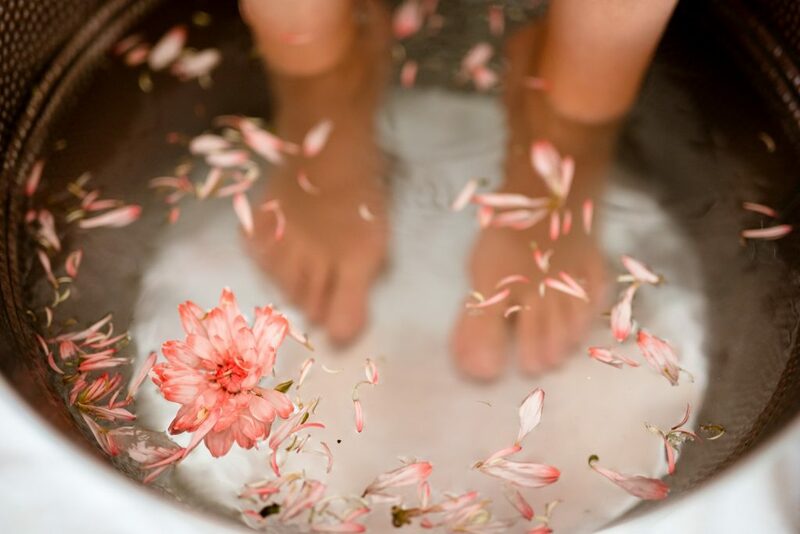 Owner and stylist Danielle came up with the delightful concept of having her ballerina hostess Megan to add a touch of her special sparkle to the party. 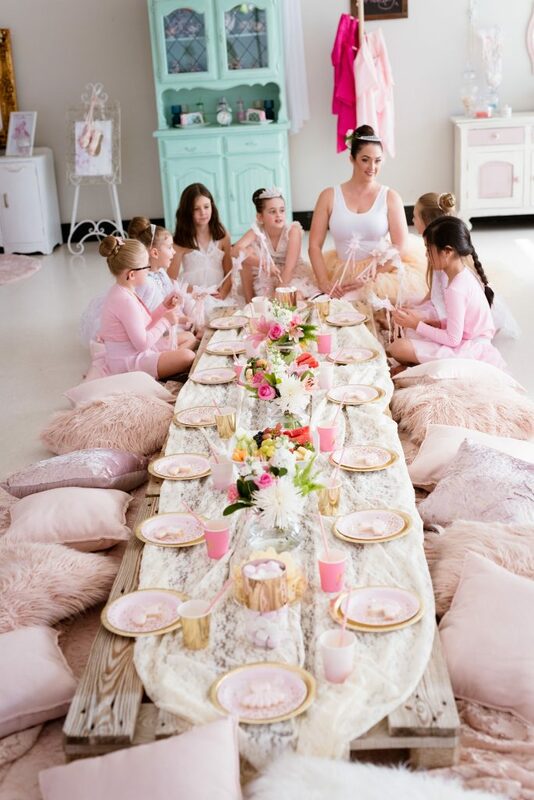 A stunning grazing table was set up as a central feature for the girls to mingle and eat at. 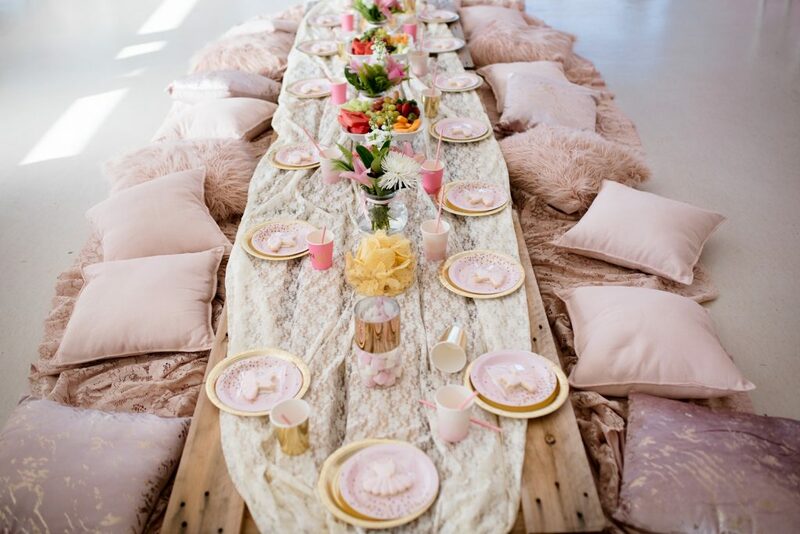 Decorated with antique lace runners, fluffy cushions, girly gold and pink table wear from Favor Lane Boutique, divine flowers from Code Bloom Inglewood and vanilla iced tutu cookies from She Bakes in Heels. 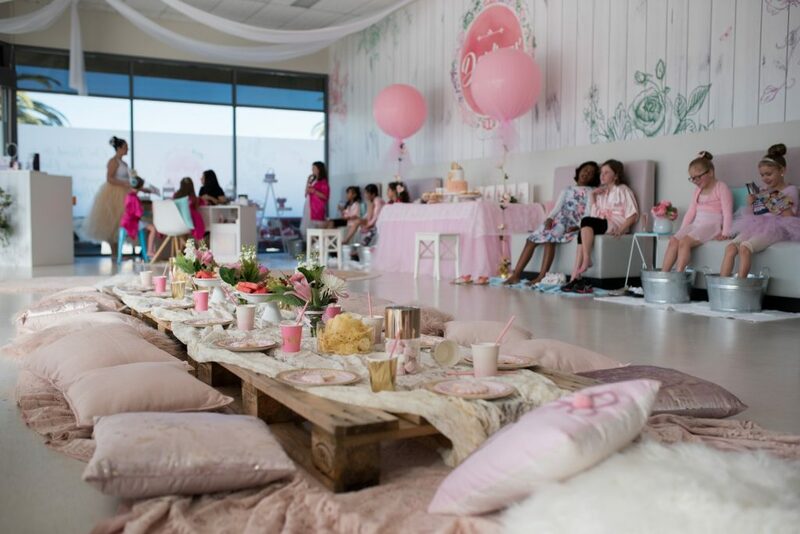 No party is complete without a stunning cake and this party was no exception. 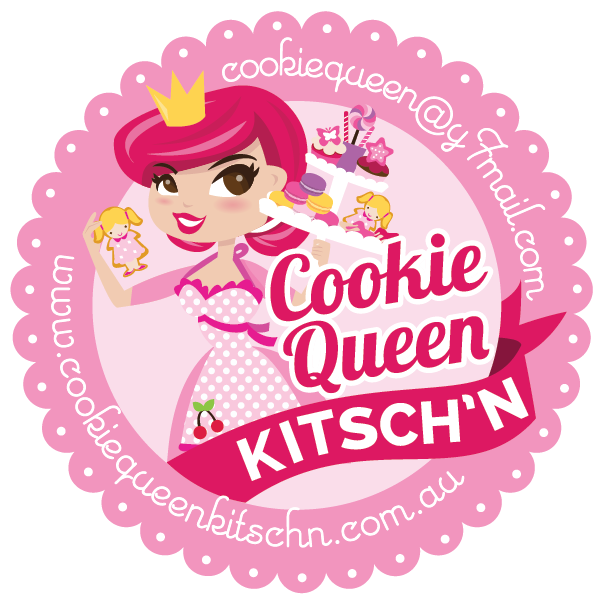 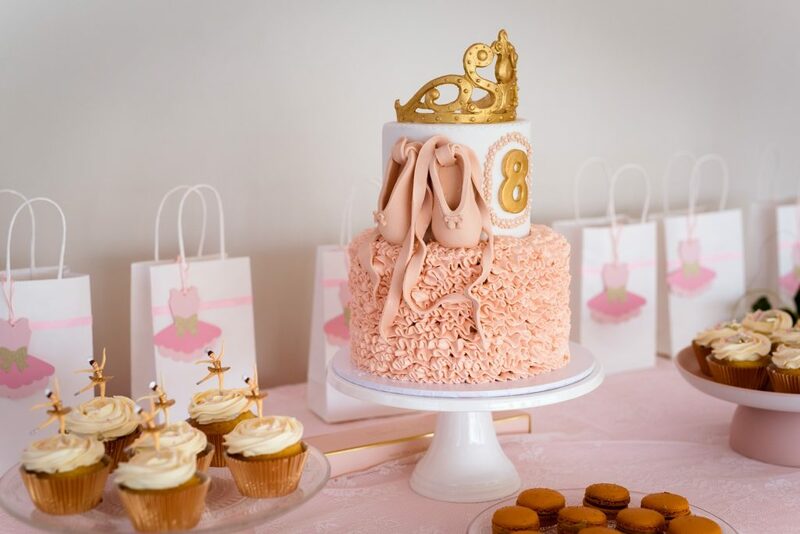 Cooks Cakes provided a delicious ruffled cake which had a dainty pair of ballet pink shoes and a gold tiara. 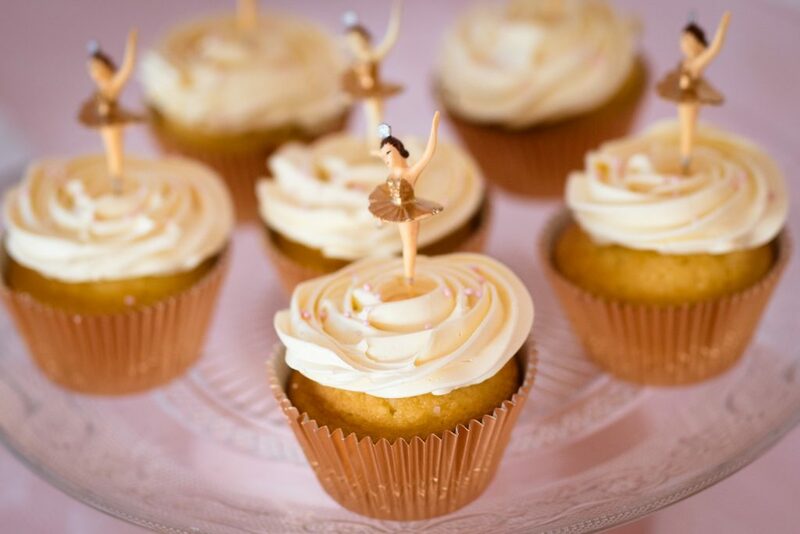 Delicious Cupcakes in gold foil were topped with vintage dancing ballerinas. 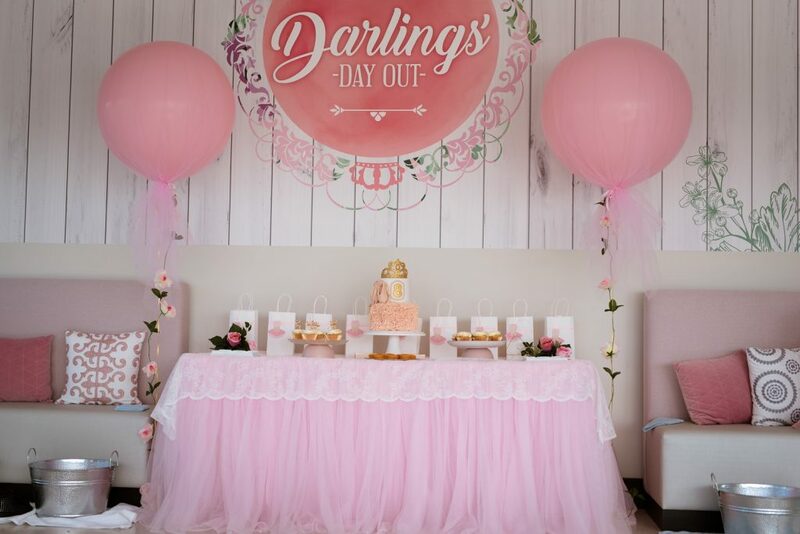 Ali from Stylish Soirees added a touch of ballet chic with her ruffled tablecloth for the cake table. 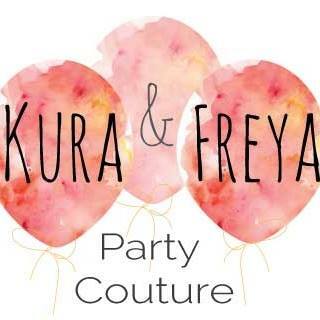 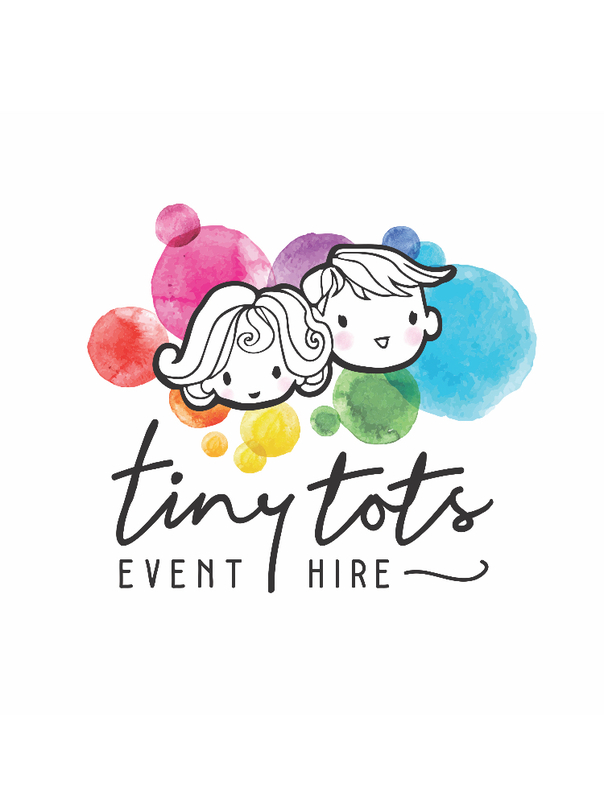 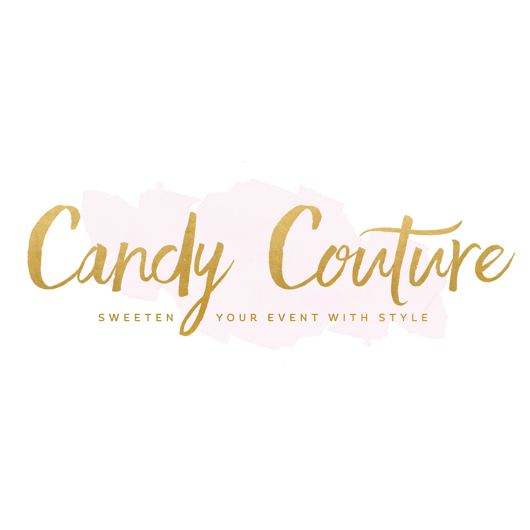 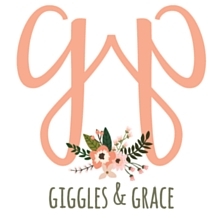 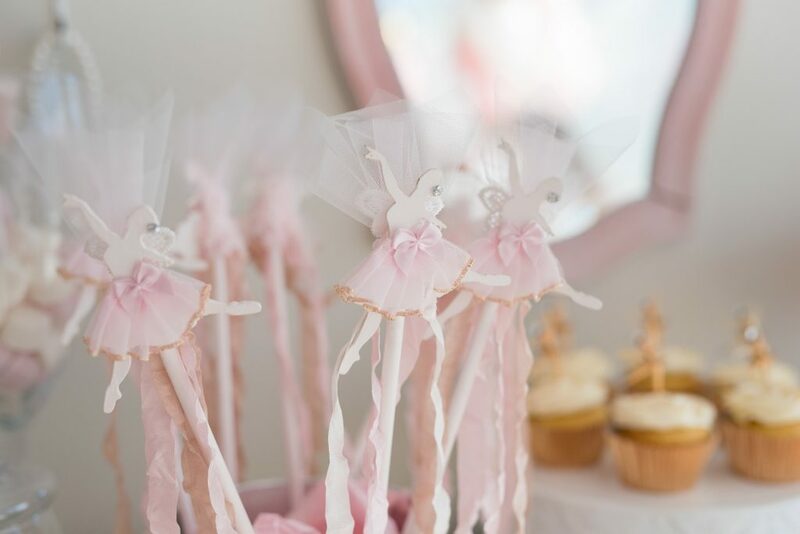 She also supplied gorgeous pink, gold and confetti balloons as well as two large tulle balloons, perfect finishing touches of ballerina magic. 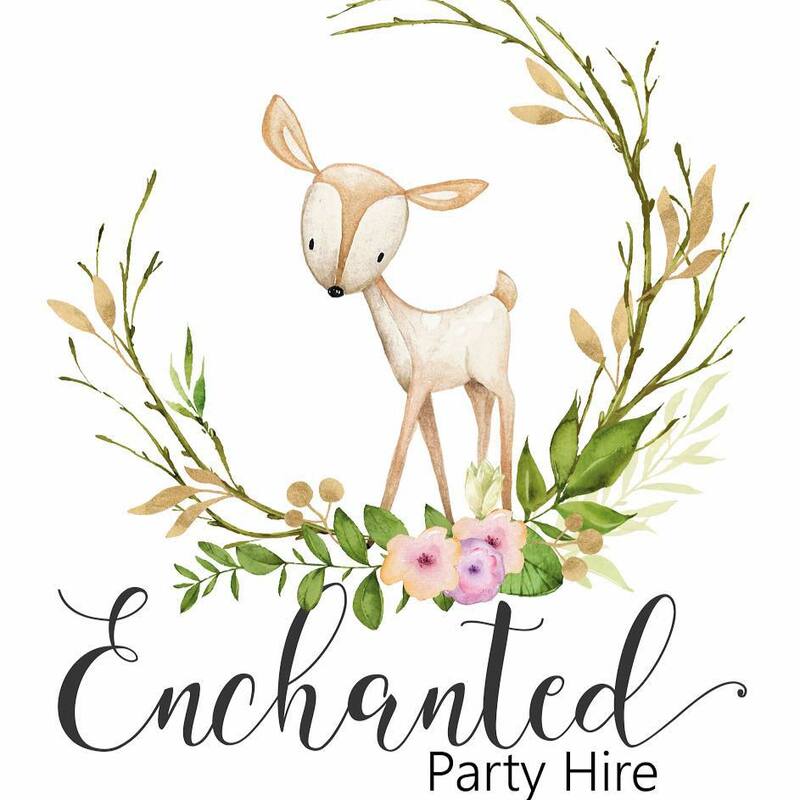 Ali of Stylish Soirees Perth provided a gorgeous easel to hang a very special pair of decorated ballet shoes made by June (Arabella’s grandmother) of Arabella’s Vintage Wardrobe. 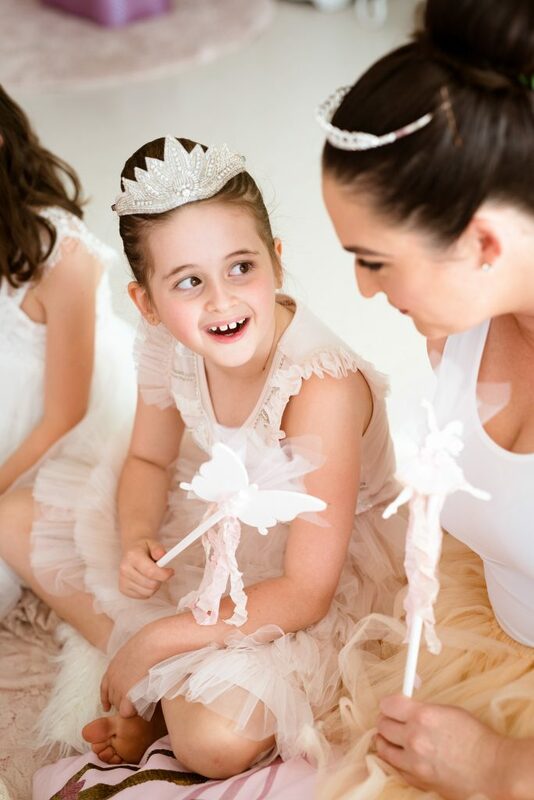 June also created a range of stunning ballerina wands for the girls to treasure and remember this special day. 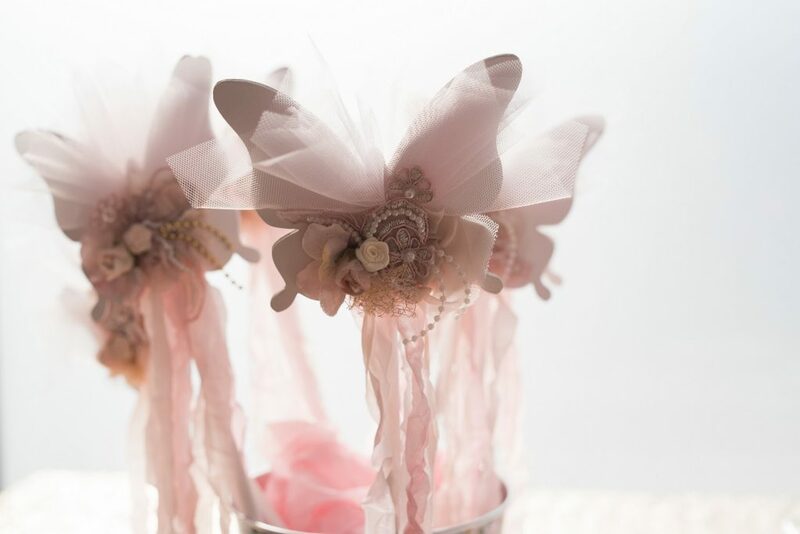 Lots of love went into every stitch. 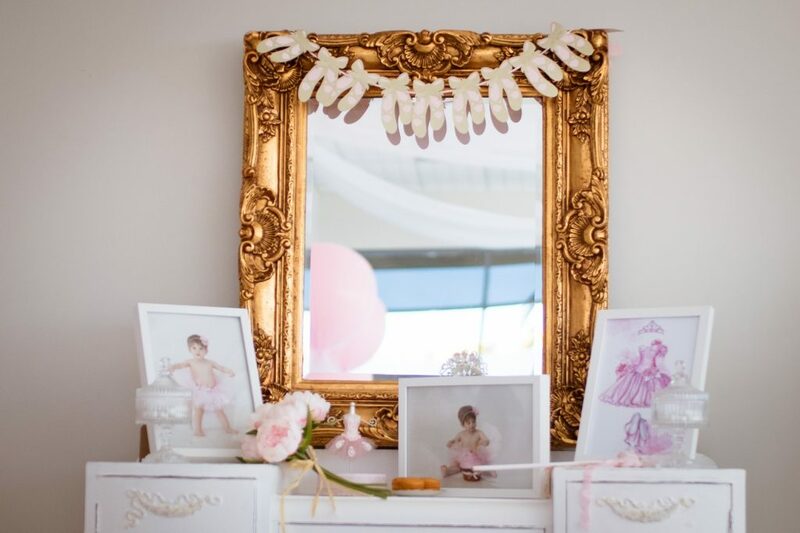 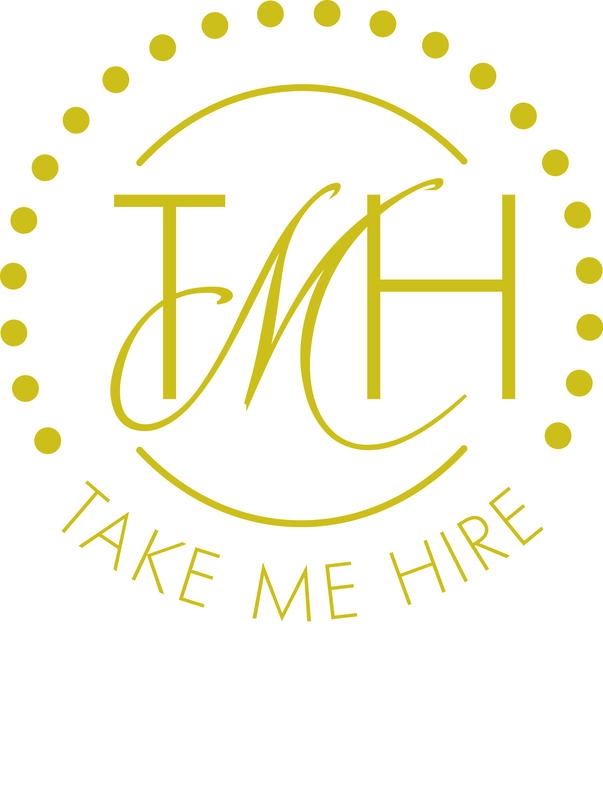 Other whimsical touches included vintage dressers, antique lace and furniture. 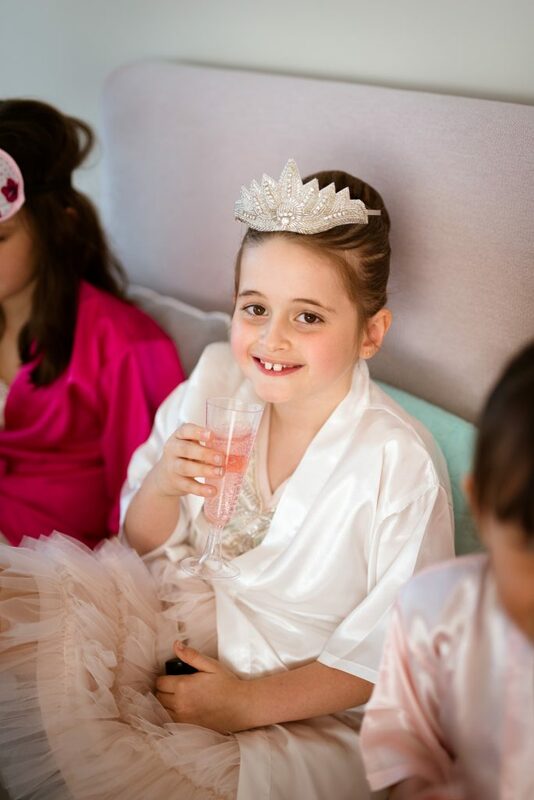 Tables were topped with treasured mementos including some early portraits of Arabella in her first tutu, garlands, tiaras and flowers. 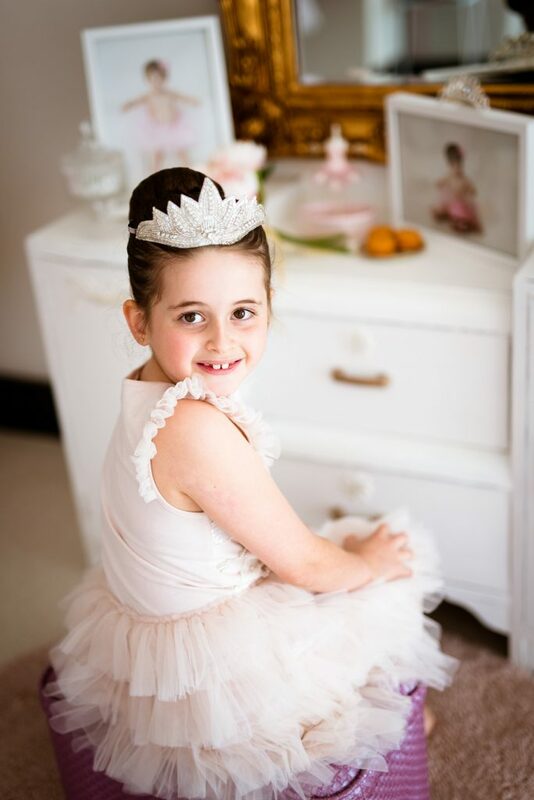 Danielle also used a gorgeous Little Chiyo English rose full length tutu displayed on a wire mannequin. 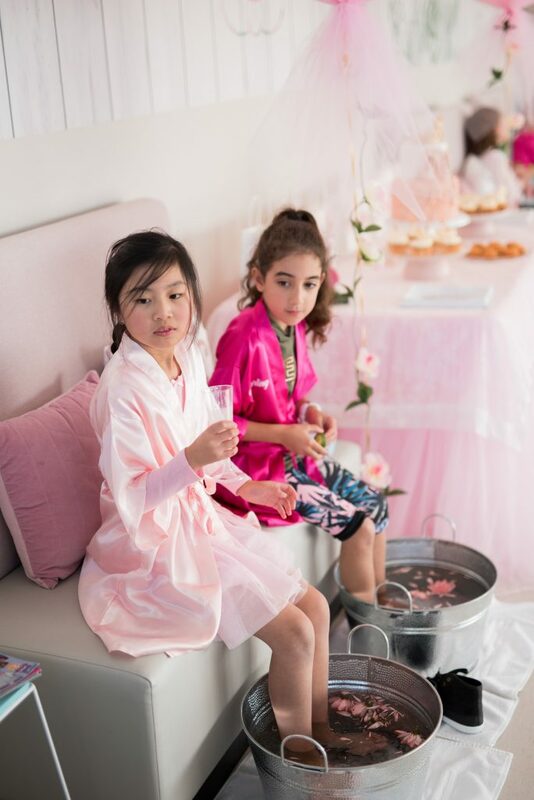 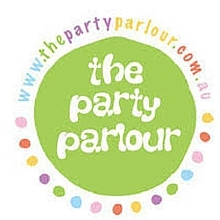 The dreamy party was everything Arabella had hoped for. 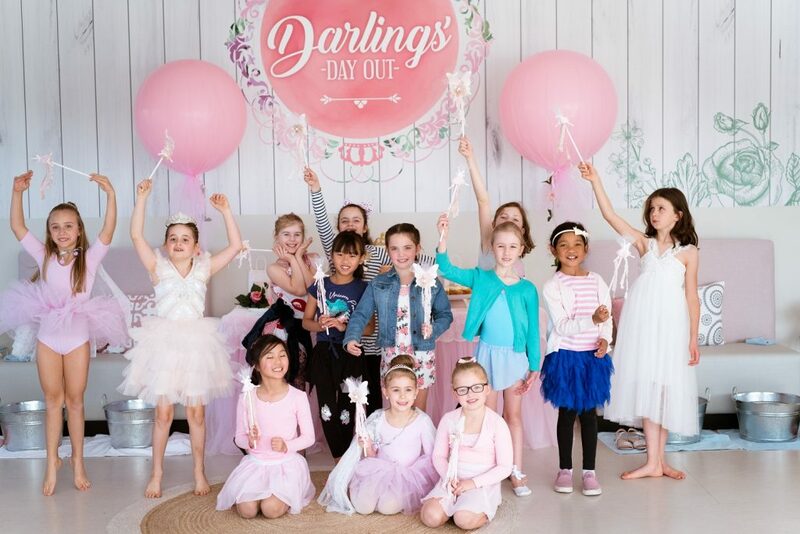 The next day the guests were still whispering about the ballerina magic created at Darlings Day Out. 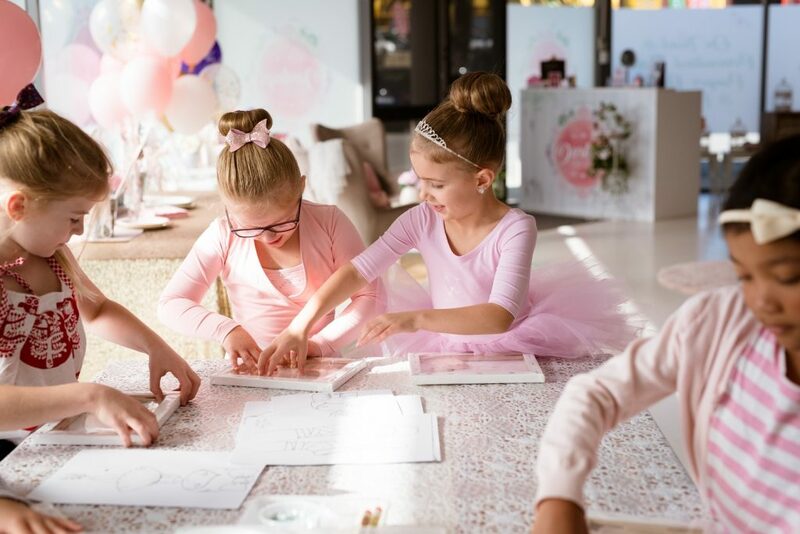 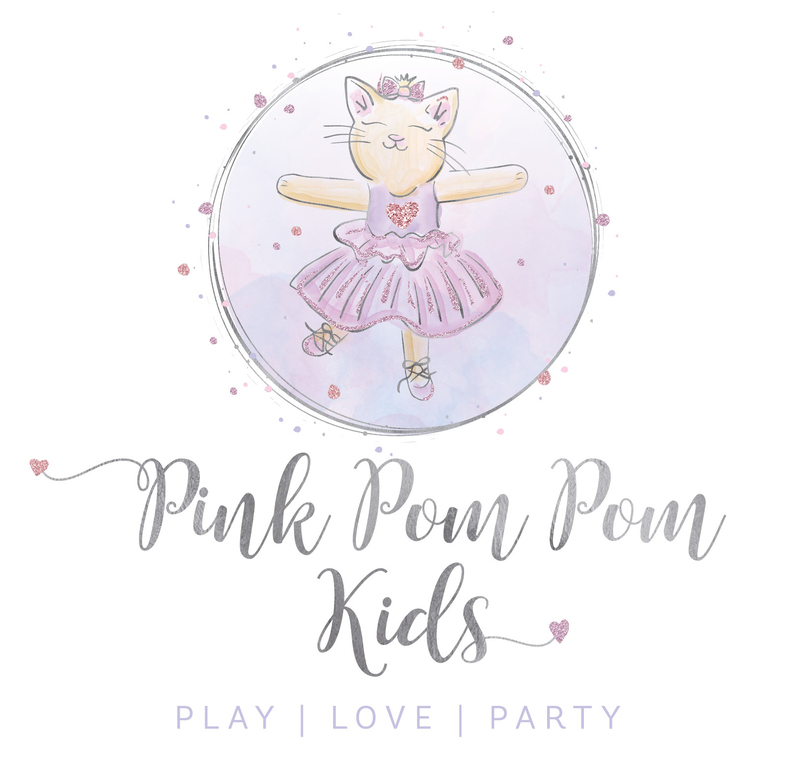 Pointe, leap, grand jeté and twirl, this Pink Ballerina Birthday Party will make you whirl!